Since the webcam was installed in the Castell d’ Alaró you can see in real time what is happening. What’s the weather today in Alaró? Follow it in real time. This information is updated every 5 minutes. The Castell d’Alaró has a weather station since its location is a reference point for consultation, measurements and predictions of weather from Mallorca. 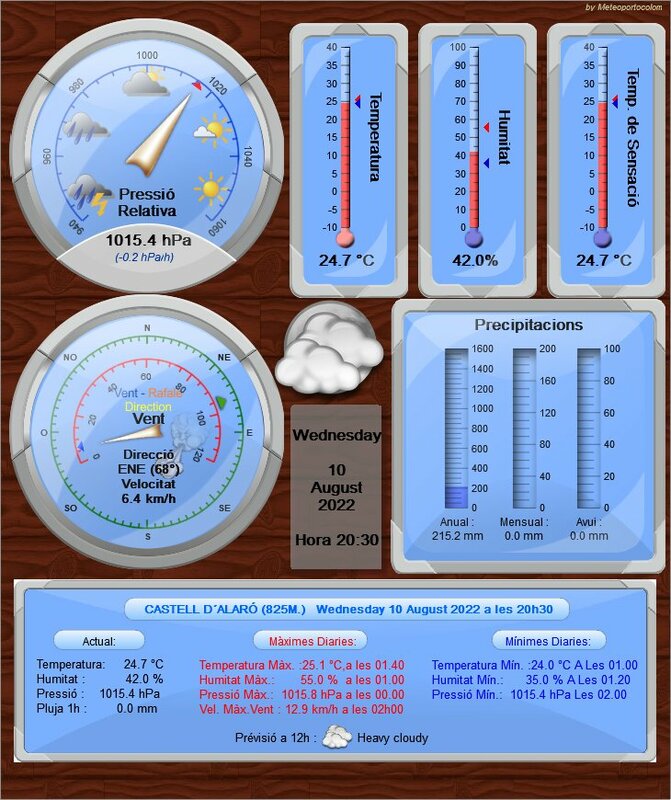 Meteo station installed by the Societat d’Observadors Meteorológics de les Illes Balears ( SOMIB ) , thanks to the participation of its members and the agreement signed with the Fundació Castell d’Alaró.